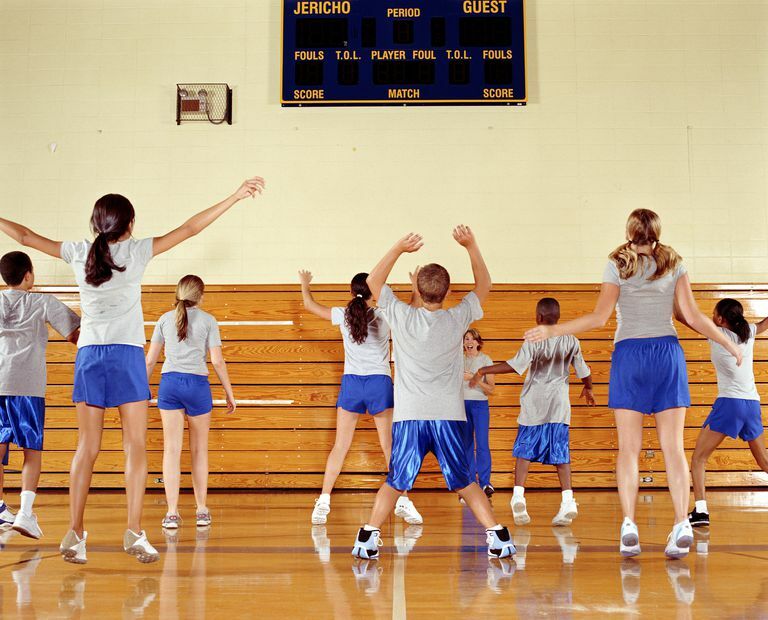 Everyone knows that kids should be physically active and need to exercise regularly to be physically fit. Whether they are overweight or at a healthy weight, regular physical activity is considered by most experts to be an essential part of a healthy lifestyle. That doesn't mean that every child needs to spend four or five hours a day training for the Olympics or practicing with a select baseball or soccer team. Participating in organized youth sports isn't a requirement for physical activity, as kids can get plenty of exercise during active free play. How Much Exercise Do Kids Need? The American Academy of Pediatrics recommends that children and teens should be "physically active for at least 60 minutes per day," although they stress that it doesn't have to be 60 minutes of continuous activity. For example, if your eight-year-old played soccer for 20 minutes during PE at school and then played basketball with his friends for 40 minutes after school, he would meet the AAP's recommendation of 60 minutes of physical activity for that day. On the other hand, if during a 60-minute PE class at school the class spends 30 minutes getting dressed, choosing teams, and lining up to play, and your child then watches TV and plays video games after school, he would not be active enough that day. Regular exercise is good for kids. It has been shown to help them build strong self-esteem, sleep better, have more energy, decrease anxiety, and decrease depression. And as most people know, along with a healthy diet, regular exercise is the best way to lose weight and prevent childhood obesity. Since your child likely isn't going to be getting his exercise by running on a treadmill or using an exercise bike, it can be hard to always tell how many calories he is burning while exercising. Fortunately, it doesn't really matter, as long as your child is getting his 60 minutes or more of moderate physical activity each day and maintaining a healthy diet. If your child is very active and is still gaining weight, you should likely look to his diet as the cause — not his level of exercise. Keep in mind that these are estimates based on a person weighing 150 pounds. A child weighing less will burn fewer calories, even at the same level of activity. Also realize that a child riding his bike for an hour around the neighborhood with his friends is likely not going to keep up a 5 mph average speed, so he will likely burn even fewer calories. You can, however, use the above list to estimate how many calories your child burns and as a guide to which activities burn more calories. Remember that kids, even teens, don't usually stick with exercise programs that involve "calisthenics or programmed aerobic exercise." That is why you don't see many kids in health clubs or using home exercise equipment (never mind that many gyms and pieces of equipment are not designed for use by children). Instead, kids do better with lifestyle exercise programs, including active free play and organized team and individual youth sports. Get the whole family involved in being more active, keeping in mind that most kids would rather be outside playing, instead of watching another "Sponge Bob" repeat — they just don't want to be outside by themselves. If you go outside with your child to play catch, tag, or simply go for a walk, you can usually be sure that your child will be quick to follow. Have your kids use "active transportation" in which they have to use stairs, instead of elevators, and walk to school or to their friend's house, instead of always being driven. Encourage more unorganized outdoor free play. Support personal fitness and fun recreational activities. Help your child find an organized sport that he likes. This could be a team sport, such as baseball, soccer, or football, or an individual sport, such as tennis, karate, or dance. American Academy of Pediatrics Policy Statement. Active Healthy Living: Prevention of Childhood Obesity Through Increased Physical Activity. PEDIATRICS Vol. 117 No. 5 May 2006, pp. 1834-1842. The President's Council on Physical Fitness and Sports. Exercise and Weight Control.